Updates to Ron E.'s profile since your last visit are highlighted in yellow. When time/$ permits I enjoy World Travel! Ron E. Anderson added a photo to his profile gallery. Ron E. Anderson updated his profile. View. Ron E. Anderson has a birthday today. Ron E. Anderson posted a message. 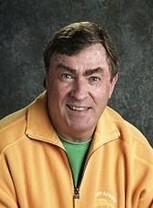 Ron E. Anderson has left an In Memory comment for his Profile. Tom was a Classy Friend; Competitive wrestler, very good bowler, and a gifted "$$$ - nine-ball" player! who I enjoyed watching at Flaherty's; You will be missed by all who knew you! Ron E. Anderson has a birthday today. New comment added. Ron E. Anderson changed his profile picture. Ron E. Anderson changed his "Now" picture.